Maxthon, creator of the multi-platform Cloud Browser, has released an application that they say represents the “future of browsers”. 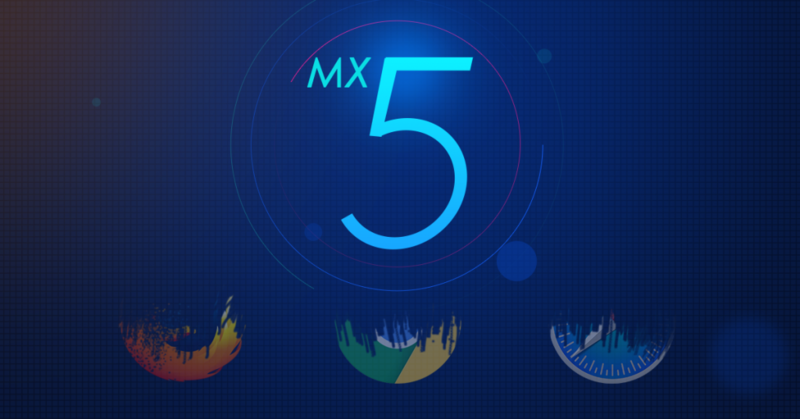 Available on Android, iOS (9.x and above) and Windows operating systems, MX5 strives to be much more than just a Web browser. The first time you launch MX5 you’ll be prompted to create an account and sign in, using your email address or telephone number and a secure password as your credentials. The main reason you need to authenticate with a master password in order to use MX5 is because it grants you access to your stored passwords and other personal data, available across as many devices as you wish. 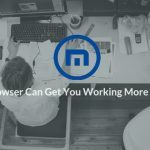 While portions of the interface may look familiar to users of Maxthon Cloud Browser, MX5 offers some rather unique features; which we have detailed below. At the time of publication, MX5 was in beta and still had some defects that needed to be addressed. As with all beta software, use at your own risk. If you are uncomfortable using a pre-release version of an application, you may want to wait until the official browser is unveiled. The Infobox takes the concept of bookmarks and favorites a step, or better yet a leap, further. Rather than just collecting a URL and a title, MX5’s Infobox also lets you grab and archive actual Web content as well as snapshot images of full or partial pages. These items are stored in the cloud and therefore accessible on multiple devices, even while offline. Most content in your Infobox is also editable, allowing you to add your own annotations, etc. 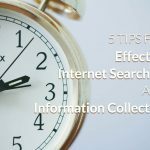 While most browsers allow you to pin traditional bookmarks to an easily accessible toolbar or drop-down interface, a link to all of the aforementioned content for a page or site can be pinned to the Infobox’s Shortcut Bar. In reaction to the rise of account hacking in recent times, many websites now require you to create longer and more complex passwords. If remembering all of those secret character combinations was tough before, it has now become almost impossible to do without a little assistance. MX5’s Passkeeper encrypts and houses your account credentials on Maxthon’s servers, allowing you to access them from anywhere. The company claims that all passwords stored through Passkeeper, both locally and in the cloud, are double-encrypted via both database and AES-256 encryption techniques. Passkeeper also lets you store usernames and other relevant details alongside each password, prepopulating the required fields each time a website prompts you to authenticate. It also contains a generator that constructs a strong password on-the-fly anytime you are registering for a new account on a site. The Magic Fill feature set, familiar to longtime Maxthon users, is replaced by Passkeeper in MX5. Email spam is a problem we’ve all dealt with. Even with the most rigid filters in place, unwanted messages still occasionally find their way into our inbox. 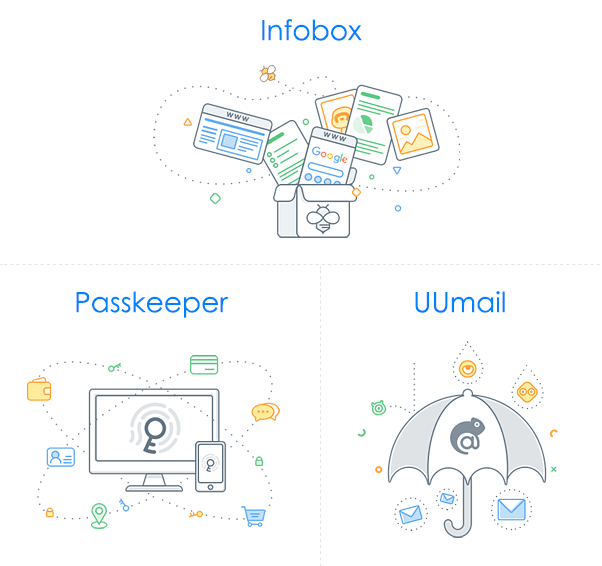 UUMail utilizes the concept of shadow mailboxes, letting you create one or more addresses which act as shields for your real email address. Once a UUMail address is created, you can configure it to forward some or all messages to your actual address (i.e., @gmail.com). 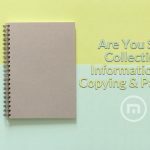 Rather than provide your real email address each time you register on a website, sign up for a newsletter or any other number of scenarios where you may want at least a modicum of privacy, you can instead enter the address of one of your shadow mailboxes. Not only does this allow you to control which emails end up in your actual inbox, but you avoid having to supply your personal or professional email address in certain situations. Ad blockers have become a subject of contention on the Web. While a large subset of internet surfers like the idea of removing advertisements, many websites depend on the revenue generated from them. 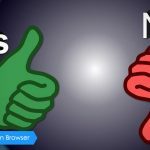 While this debate will surely continue on for the foreseeable future, the fact remains that programs which block ads are extremely popular. One of the originals in this space, boasting tens of millions of users, is Adblock Plus. Maxthon, long a proponent of ad blockers, integrated Adblock Plus right into MX5’s main toolbar. From here you can control what gets blocked and when through the use of custom filters and other configurable settings. Windows: Adblock Plus is enabled by default, preventing most advertisements from rendering when a page is loaded. The number of ads that have been successfully blocked on the active page is shown as part of the ABP toolbar button, found directly to the right of the MX5 address bar. Clicking on this button provides the ability to view which ads were blocked and the domain they originated from. You can also disable ad blocking via this menu, either for the current website or for all pages. To modify filters or add specific sites to ABP’s whitelist, click on the Custom filters option and follow the instructions presented on the screen. Android and iOS: In the mobile version of MX5, Adblock Plus can be toggled on and off via the browser’s Settings interface. Studies have proven that surfing the Web in the dark, whether on a PC or portable device, can cause significant eye strain and even potential long-term damage to your vision. Couple that with the fact that blue light emitted by some screens can have a negative effect on the amount of sleep-inducing melatonin your body produces and you’ve got a real problem on your hands. With Night Mode you can adjust the brightness of your MX5 browser window in an effort to alleviate issues with your sight and sleeping patterns. Night Mode can be toggled on and off at will and can also be configured to activate at specific times. We already mentioned the ability to save screenshots of full pages or sections of a page in your Infobox. MX5’s Snap tool also lets you crop, edit and save user-defined portions of the active Web page to a file on your local hard drive. Text, images and other effects can be applied to your selection right within the main browser window. Click on the Snap icon, located in the main toolbar between the Night Mode and main menu buttons. You can also use the following keyboard shortcut: CTRL+F1. Your mouse cursor should now be replaced by crosshairs, prompting you to click and drag to choose the portion of the screen that you wish to take a snapshot of. Your cropped image will now be displayed, along with a toolbar containing a number of options. These include a brush, text tool, a blurring utility, various shapes and arrows, and more; all intended for image manipulation. To store the image to a local file, click on the disk (Save) icon. Now that we’ve highlighted some of the more uncommon features found in MX5, let’s take a look at how to use some of its more standard functionality. These days most browsers support add-ons/extensions, programs that can be integrated with the main application to expand upon its functionality or modify its look and feel. 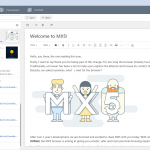 MX5 is no exception, coming out of the box with several pre-installed extensions and offering hundreds more in the Maxthon Extension Center. To enable or disable extensions and additional functions that are already installed, take the following steps. Click on the MX5 menu button, represented by three horizontal lines and located in the upper right-hand corner of your browser window (or use the following keyboard shortcut: ALT+F). When the drop-down menu appears, select Settings. Once the settings interface appears click on the Functions & Addons option, found in the left menu pane. All extensions currently installed should now be displayed, broken down by category (Utility, Browsing, Other). To enable/disable a particular add-on, add or remove the check mark accompanying the Enabled setting by clicking on it once. To install new extensions, scroll to the bottom of the page and select the Get more link. To prevent MX5 from storing your browsing history, cache, cookies, and other potentially private data remnants at the end of a browsing session you must first activate Private Browsing/Incognito mode. Windows: To do so first click on the Maxthon menu button, located in the upper right-hand corner. When the drop-down menu appears, click on Private. A new window will now open, displaying a silhouette of a person in a hat obscuring their face in the top left corner. This signifies a private session and ensures that the aforementioned data will not be saved after the window is closed. Android and iOS: Select the main menu button, located in the bottom right-hand corner of the screen and represented by three broken horizontal lines. When the pop-out window appears, tap the Incognito icon. A message will now appear asking if you wish to close all active pages or keep them open before entering Incognito Mode. To disable this mode at any time, follow these steps again. If the Incognito icon is blue then you are browsing privately. If the icon is black, that indicates that history and other private data is being recorded. Time to Upgrade the Browser to Information Assistant MX5 Beta V5.0.1.1200 Officially Released!